If you’re nearing retirement age, or simply planning in advance, you may be asking yourself how much you’ll need. 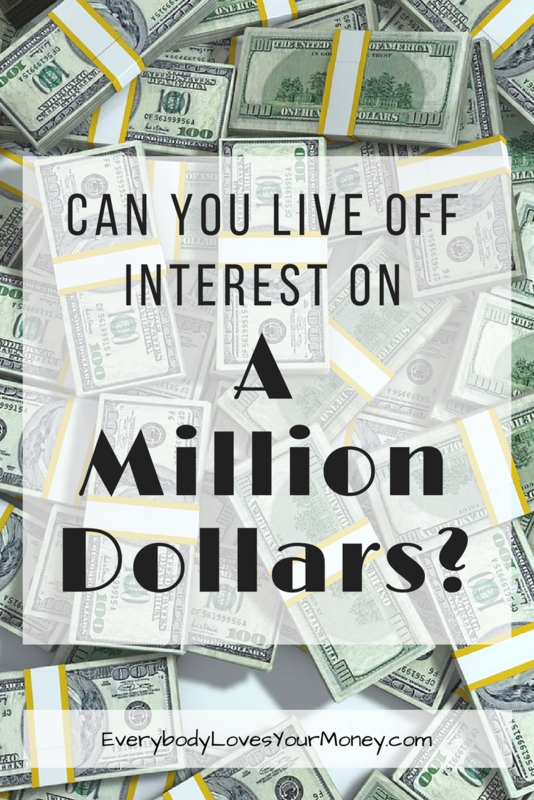 We’re going to target one specific question in today’s article: “Can I live off interest on a million dollars?” Scenarios like this have many variables, so let’s start by asking some questions. Retirement Planning – Can I Live Off Interest On a Million Dollars? Some financial experts say if you can save a million dollars, you can retire at any age and live off of the interest. But is that really the case? Let’s go over a few scenarios that might help you determine the answer. How Do I Want to Live Life as a Retiree? To answer “Can I live off interest on a million dollars?” you must first determine how expensive life will be. These prompts will help you answer that question. What will my post-retirement life look like? What are your plans for how you will live life after you retire? Will you travel or stay close to home? Where will you live and what will your housing expenses be? How much do I plan to spend each month? In order to determine if a million in cash will be sufficient, you need to have an idea of what your monthly expenditures will be. Take some time to make a list of all current monthly expenses. What is the total? Will that number be the same when you retire? Work to find a target monthly income amount that can sustain you in your post-retirement years. Will I be debt free when I retire? This is key: if you have all debt paid off, you will have lower monthly expenses and a better opportunity to stretch your retirement savings. How’s my health? How will it be when I retire? Are you currently in good health? Do you plan to take measures to sustain your health by eating well, exercising, etc.? What are your current annual health care costs? Given the proactive measures you take and your family history, what is a reasonable expectation for medical costs in the future? Answering each of these questions will give you a rough idea of how much money you’ll need to live on each month. The next question is: Can you make enough in interest to cover that monthly amount? How Much Money Will My $1 Million Earn Each Year? For instance, the historical average return in the S&P 500 over the last fifty years (according to this chart from The Motley Fool), when adjusted for inflation, is 5.38%. Using that average, your $1 million will pay out, on average, $53,800 per year. The average earned interest for bonds and treasury bills is even lower. So, using the S&P 500 numbers, the question becomes: Could you live in post-retirement off of $53,800 per year, minus what you would have to pay in for taxes? If the answer is “yes”, then $1 million would adequately fund your post-retirement lifestyle for years to come. However, if you’re investing in municipal bonds, for example, you’ll need to take the average earnings rate for that investment product as the number you use to determine your annual income. Before you turn in your resignation letter, remember that the “average” investment income return doesn’t guarantee you’ll actually earn that much interest in a given year. The stock market and other investing avenues have their good years and bad. Your retirement plan has to have a cushion for the bad years if you are going to guarantee you won’t run out of income. If you’re asking yourself, “Can I live off interest on a million dollars?” then here is the bottom line. You probably could; however, it is safer to overestimate what you’ll need for post-retirement income. Plan so there is a sufficient cushion within your asset holdings for any unexpected expenses or market downturns. Do you think $1 million is enough for retirement? Share your thoughts with us below!